I am so excited to share with my lovely readers these tips on making registering easier! As Director and National Spokesperson at Waterford Wedgwood Royal Doulton, Jorge Perez is the authority on entertaining how to's and registering in style. 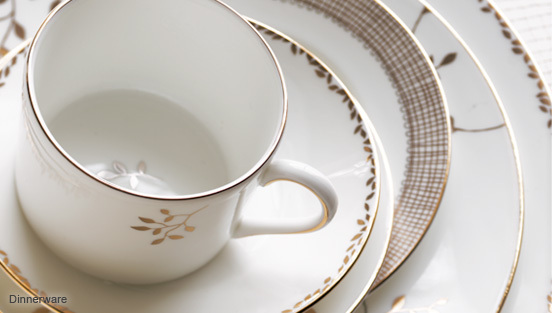 In addition to partnering up with high fashion and household names like Vera Wang, Martha Stewart, and Barbara Barry, the collections at Waterford, Wedgwood and Royal Doulton have just about everything you need to create a happy home. Here are Jorge's Top 10 Tips for Registering . . .
2. Register at stores that offer great registry rewards and an on-line registry service. 3. Do Not register at more than 3 establishments and make sure to register for things that “YOU” will need and use and not for what others are telling you to register for. 4. Register early (to take advantage of all your bridal functions prior to your wedding) and check your registry often on-line to make any adjustments. 5. Make sure to register for enough items (2 gifts for each person you invite) and at many different price points ($25, $50, $100, $350, etc). This makes it easier for your loved ones and group work friends to buy you the gifts you want. 6. Invite your Groom to get involved in the registry. Maybe he can register for the things that he likes, like the Bar or entertainment center. 7. Listen to your mothers! At least 10%. Remember - they went through this and feel that they have much to offer, but don’t forget that it is your decision and your table (not hers). 8. Take a very few (if any) people with you when you register. Less people means less opinions. 9. Register for more than you think you’ll need. Your registry is about your future, so register for all the BASICS that you will need to entertain. 10. Don’t Register CHEAP! 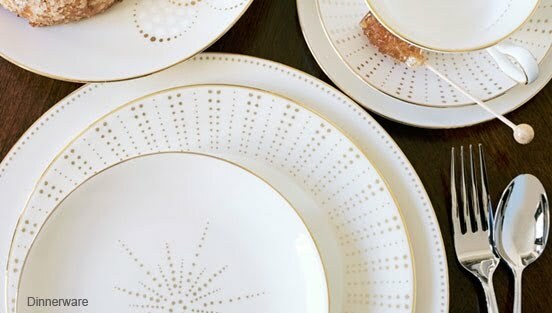 Register for quality items that will be with you forever and will become your family heirlooms, like Waterford and Wedgwood. Image via Toast and Tables. 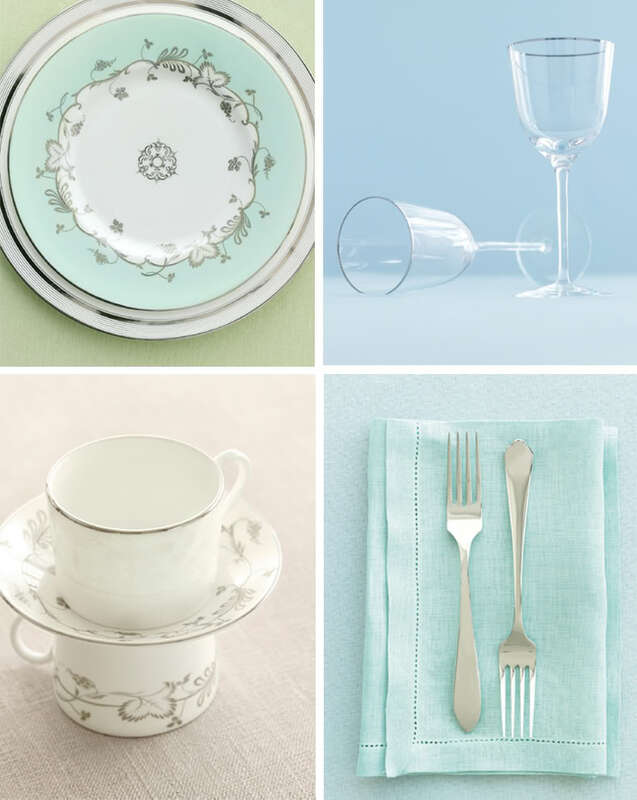 i loved that china ( the light blue , white and silver plate)!! do you know the brand?